Summary: A discussion, cast in the form of a conversation, of the latest findings in psychology and neuroscience, and their implications for what it means to be human and for what it means to believe in God. 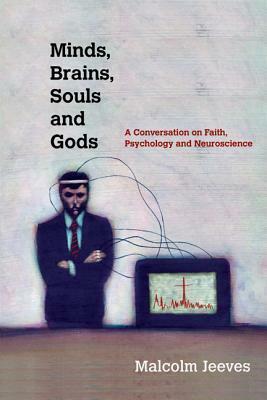 Written for the thoughtful undergraduate, it is helpful for students in these fields and others concerned about the implications of neuroscience research for faith. Is there such a thing as free will or are all our thoughts and actions determined by chemical reactions within our neural networks? Do studies showing activity in specific centers of the brain when one is engaged in religious activity demonstrate that the quest for God is simply a genetically, physically determined activity. Given the increasingly close linkages between physical structures and processes in the brain, and our thoughts and actions, is there anything that makes me me apart from those structures? What about the soul? Recent research in neuroscience and psychology raises all of these questions. In this book, Malcolm Jeeves discusses these as both a scientist and believing Christian. The book is cast as a conversation, an exchange of emails between Malcolm and a student named “Ben”, discussing a succession of questions that arise for Ben in the course of his studies in psychology. I found this a helpful form for presenting the latest research and exploring the Christian implications of that research. He explains the latest research findings in terms educated lay persons can grasp. He begins with a discussion of how one should think of the field of psychology and notes that the Freudianism and behaviorism of prior generations (what I learned in my own psych courses) has given way to cognitive psychology heavily influenced by neuroscience research. He goes on to explore the question of the connection of mind and brain, arguing for the mind and consciousness as an emergent property of the brain that cannot simply be reduced to brain processes, allowing for “top down” influences. This leads to a discussion of free will, where he argues against the kind of determinism that makes all our actions, including writing books and proposing theories, as simply the “chattering of neurons.” He then discusses social influences on cognitive processes and this contributes to Jeeves contention that there are multiple levels of explanation for psychological processes. Jeeves turns to a discussion of the soul and argues that the best understanding of this is to translate nefesh, the Hebrew for soul, as “living creature”. In Genesis, this is used of animals as well as humans. What Jeeves would argue for, and where others, particularly dualists, will differ (and he acknowledges this) is for what he calls “dual aspect monism”–that mind or soul and body are two aspects of one being–we do not have souls, we are embodied souls. But for him, this allows him to see mental states as closely connected to physical processes without denying something essential to being human. Succeeding chapters then explore various questions around the nature of being human from near death experiences to our moral sense and altruism, and our usage of language. In a number of these areas, Jeeves notes both similarities with animals, particularly chimpanzees, and the stark differences between us and them. One thing to be noted is that in all of this, Jeeves is responding to research being done and its implications, a very helpful process. At the same time (and perhaps this could not be done in one book) I would have liked to see some thought given to how Christian premises might uniquely influence the research questions one asks in these fields–what does Christian thought contribute to psychological and neuroscience research? The closing chapters explore questions of neuroscience and belief and whether belief can be reduced to the physical processes at play when persons engage in religious activity and that may be more prevalent in those of a religious nature. Jeeves is careful here to acknowledge the work being done in this area and that further research will likely yield an even fuller picture of these processes. At the same time he contends that the question of the reality of a God or gods is not something that can be proven or dismissed on the basis of this evidence. As a Christian, he would contend that these are matters that rest on the historical evidence for the acts of God in history including the death and resurrection of Jesus. This last is one of the great values of the book. Jeeves both argues for the value of neuroscience research and against the hegemony of any particular area of science (levels of explanation) or of science as a whole over and against other ways of knowing. He provides a thoughtful model of measured conversation bringing both scientific research and the best of Christian thought together, free of neither sensationalistic claims or knee-jerk responses. Thanks for your review Bob. These are deep subjects. Even though I’m in my 60’s, the older I get the more I realize that I am only scratching the surface of what is yet to be learned.